The Pacifica network is poised to hold its first board elections in three years. SaveKPFA has put together a full slate of wonderful candidates, who will bring fresh perspectives onto KPFA’s board. But to get them elected, we’ll need your vote, and that means you’ll need a ballot. To be eligible to vote, you have to have given at least $25 to KPFA in the year ending this Tuesday, July 14. 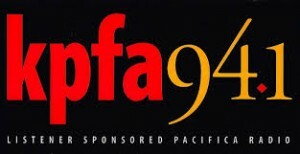 SaveKPFA came together as an organization devoted to supporting KPFA’s paid and unpaid staff, securing local control of our radio station, winning accountability and transparency from Pacifica (the nonprofit corporation that owns KPFA), and getting terrific programming onto the air. We won control of KPFA’s Local Board the same year that Pacifica’s then-leadership sidelined KPFA’s listeners and local management by canceling KPFA’s much-loved Morning Show, and attempting to purge its staff. Since then, we’ve changed the leadership at Pacifica, helped repair KPFA’s morning lineup, recruited permanent, stable management for KPFA, and started to stabilize Pacifica’s financial problems. Check out our history at saveKPFA.org. Everything we’ve achieved over the past several years has been made possible by thousands of mobilized listeners like you: who turned out at demonstrations to win back control of KPFA, who dug deep during fund drives when KPFA was on the brink, and who delivered landslide victories to SaveKPFA in successive listener elections. If you support that progress — and you’d like to see more — show your support and secure your ballot by donating NOW at https://secure.kpfa.org/support.